If your greatest love has gotten sick, you will feel like you are sick as well. Indeed, knowing that our loved one is unwell is perhaps one of the saddest moments of our life. 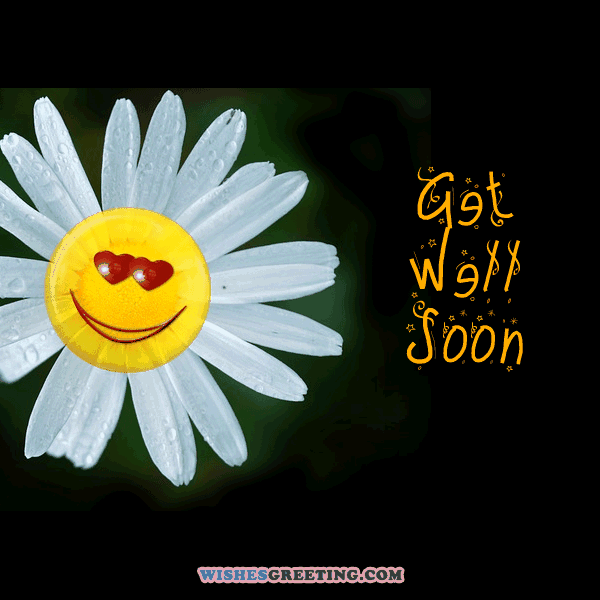 So to help your loved one feel good, send him or her some get well soon wishes to express your love and care. 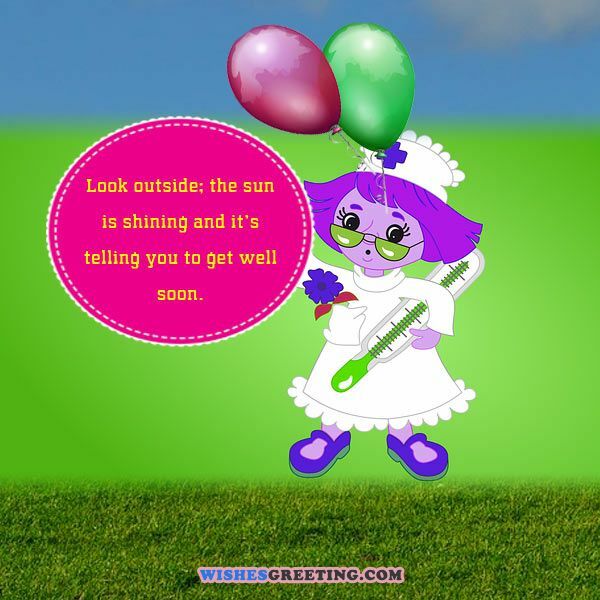 Here are the top 105 get well soon messages for your boyfriend, girlfriend husband and wife. Baby, your doctor will need to give medicines for people. I cannot be well, while you aren’t. I am not surprised you have a high fever, I always found you hot. I am sending you some kisses as medicines. Muah. Did the doctor prescribe you time with me? Till we do that, you won’t feel good. Some people get in accidents or just get sick, and this time it is your boyfriend? 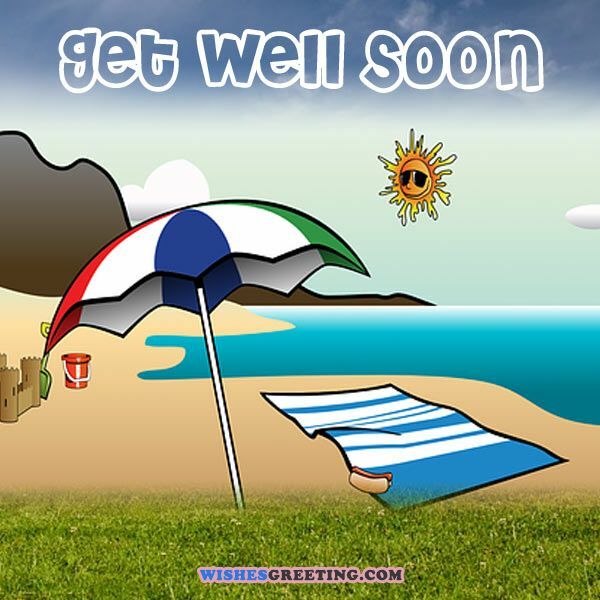 Don’t worry, we got you covered with these funny and yet loving get well soon wishes for your loving man, that you can send to him or share them on Pinterest and his Facebook wall. Please add two hugs a day to your prescription to get better in half the time. My face will not get a smile till I get to know you’re feeling better. 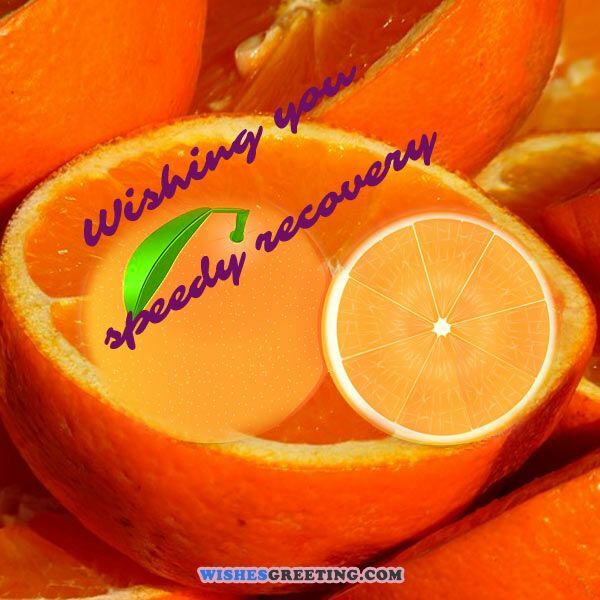 I am sending you my speedy recovery wishes. We’ll lose out on important time while you’re unwell, so get better soon. Just because you got some bugs, doesn’t mean we have to stop our hugs. I am praying for a speedy recovery. I hope my wishes make you feel better, just as your smile always makes me feel better. Please tell your doctor that he’s going to have a face a very angry girlfriend if you don’t get better soon. My life has stopped since I’m not being able to see you smile and laugh. Please take your smile with speedy recovery. Since I heard about you being unwell, my heart is feeling unwell. I am not clinically unwell, but I won’t be fine until you become well. Get well after surgery fast! What to write in get well card you might wonder. Then take a look at these useful links on letting someone know that you are thinking about her or him in times in need. I love you my dear hero. Feel good and be beautiful as always baby! Each and every bone of my body feels the pain that you are going through. So Please Take Care. I understand your pain and I am with you. Even I am feeling unwell now, because our bodies might be separate but our heart beats as one. Feel Better dear. You look handsome even in the hospital gown. Get back to me fast. My heart has been skipping a beat since I have found out you are unwell. I want to say that I am thinking about you. Each injection you have to go through, you will get equal number of kisses to feel better. I want to take my selfies with you again. Let’s go out again asap. As important as your medicines are for you while you are unwell, that’s how important you are to me every day. Sickness might come and go, but I will always be here with you to help. I wish I was a doctor so that I would have a reason to be with you continuously while you are unwell. Everyone needs in tough times words of encouragement and love to uplift the spirit. 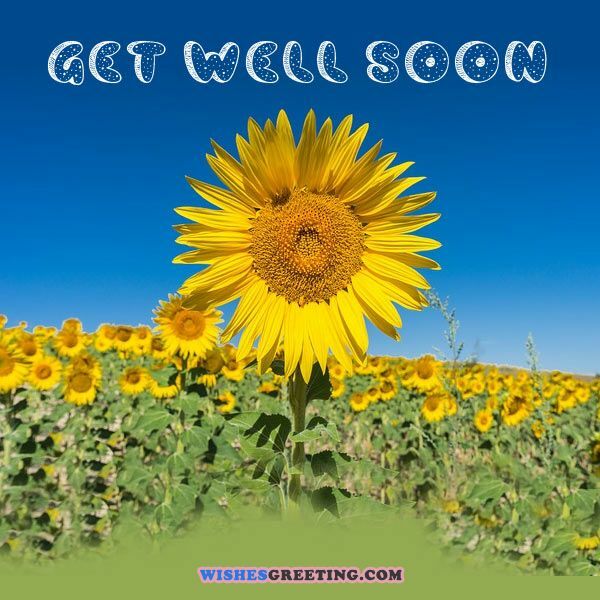 This goes the same for ladies as well, so do have a look at these loving get well soon wishes for beautiful girlfriend, to cheer her up and get her to be and stay better. All the bugs and bacteria are becoming attracted to you like me. If I will not be able to hug you for another day, I will get more unwell than you are right now. I am becoming like a flower who hasn’t been watered. I need you and love you. You didn’t need to prove to me that you are hot by spiking your temperature. I knew that always. Feel Good Again Fast. I want to keep kissing you until you feel better. Get back to me. I am with you while you get well. My heart will be your hospital. Come and take admission. Neither Facebook, nor Twitter nor Instagram is fun without you. Feel better again. Even while you are unwell, you look hot and pretty. I miss you. Fast recover so I can be better. You don’t need to fall unwell to get pampered from me, I can pamper you anytime. Just close your eyes and remember me. All the bugs and bacteria will run away from your body. I feel like a mobile without network when you are away. I want to hold you, hug you, kiss you and pamper you until you feel better. No germs, no bacteria, nothing can keep me away from you. Feel better soon . Till you are unwell, nothing is going to feel normal to me, nothing is going to make me smile. Only your smile can make me smile. I wish you a fast recovery. You will need to meet me only once to become well. Because once you meet me, my love will completely cure you. Hope you feel good soon. Say goodbye to your medicines, capsules and tablets. I am going to cure you with my love. Our husband is the man that is always there to provide and to protect us. Now it has come the time we should provide him love and guidance in difficult time for him. With these Get Well Soon messages for your hubby, he will get to speedy recovery in no time. I pray to God for your speedy recovery. You are not feeling well and so am I as you are not around. I hope you feel better soon. Last night when I looked up in the sky, I noticed all stars were not shining. Because all of them know that my dear husband is not well. Love, this message is straight from my heart to wish you good health. Feel good soon honey. I understand how low t feels when you are sick. Please have your medicines regularly on time. I feel so bad for you my love. I am praying for a quick recovery. I hope and wish you regain your strength soon. I am eagerly waiting for you to get back to your original spark. Feel better soon honey. I am sending you love your way. Hope you have a fast recovery. Keep Calm and Get well soon. Don’t be so stressed honey. You will be well very soon. My heartfelt wishes for you. I am sending whole my love in a message. I feel extremely sad as I miss to see the smile on your face. Wish you fast recovery. Hope you get back to your full swing soon. I have asked God to make you happy, to make you smile, o bring you back to the best health possible. I wish I would have got the illness in your place. Wish you fast recovery. I am missing you badly. I can’t wait any longer. Get back to me soon. I don’t like to see you so blue. Please feel well. I wish I were a magician who could make you feel fine right away. My heartfelt wishes for speedy recovery baby. The way sun rises, I pray you rise from your illness and get going. I hope my feel better wishes for you bring a smile on your face. I love you. You are too good to fall sick. Feel beautiful and better fast. I wish I had a magic wand which I could spin and bring you back to good health. Get well Fast. Here are best collection of get well wishes for a amazing woman in your live, your beloved wife. Get her to feel better with some small gift packed with loving wishes that will boost her moral and inner strength. You are too beautiful to fall sick. 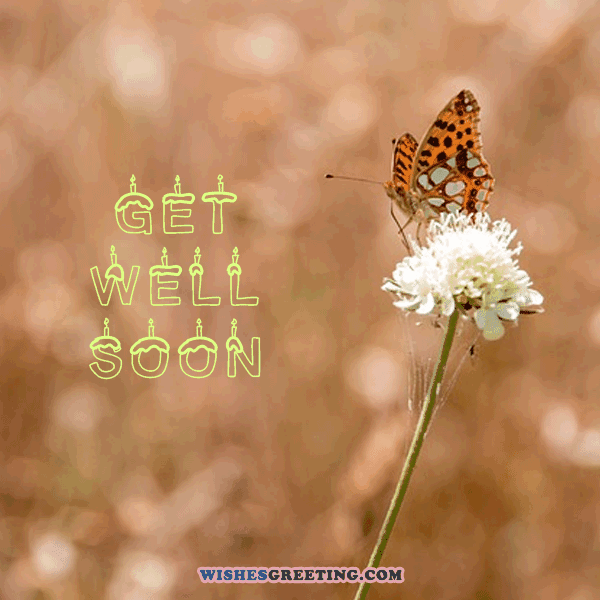 That is why I am sending you this getwell card. Get better soon my dear wife. You are everything to me. While you are fighting with your disease, I will sit next to you and pray for your speedy recovery. The best medicine for you is my kiss. Muah. Wish you get better. I pray to God for your good health hundred times a day. I am sure staying in bed is not at all a good feeling to have. I am waiting for you to feel better that we can again go back to action. Waiting for you. You are my cup of tea. I love you. Hope you will feel better my love. A small note to tell you how much you mean to me. I just want you to know that I am always there for you. When you want to send best wishes for healing fast then what is better than short feel better messages to people in need. Only I am allowed to give you such a tired look and not this illness. Hope you feel better soon. Earlier your mom wanted me to stay away from you and now after marriage she has sent her alibi to keep me away from you. Please get better soon. I miss you. I know you want to be pampered all the time but this is no way to get pampered. Get well soon and I promise you to pamper you always. I know I always keep telling you how hot you are but you didn’t have to take it so seriously and fall sick. I hope you feel better . I am so jealous of your flu. Flu can’t get to spend the whole day and time with you. Please be better. Going anywhere without is no fun. It is like watching a movie without glasses. Be well again. Close your eye and think about our first kiss and you will feel better. I love you. Get back soon to me. My life is so incomplete without you. Please feel better soon. Things may look dark right now, but somehow the sun will always rise, so feel good that better will come along. My highest hope for you is that you get well soon. You can do it, I believe in you, you will prevail. You have fought well, and I want to feel better. Feel better soon, we want you back in school. There are many ways of overcoming what you have overcome. Get well soon, because you want to be. You can do better than well, you can recover completely. Feel better soon, as soon as you can. I pray for you daily, get well soon. Do not give up on being well, get well soon. Get well, get well, get well. I pray that this happens for you daily. Feel better, because yes, you had to deal with something but you are out of the woods now. You will stay well, as is my hope. Get well soon, we are cheering for you. We hope that you feel better with each passing day and that you try to get healthy, which you will. We have been praying for you to get well, we hope you will find wellness again. You have earned your right to feel better, and we are happy you are getting well. Getting well will come, we have hoped you will feel better, please get well. We have been praying you can get well soon, and we know it has been a difficult time for you. Get well soon, we are counting on you. We are praying for your health every chance we get. We hope you get well soon and are sending you positive energy for this end. Feel better soon. We are cheering for you to succeed in conquering your current health challenges that have been difficult to deal with. Missing you terribly and counting the seconds until you feel better, get well soon my love. Wishing you a good rest so that you recover quickly because I miss you, get well soon. Wish I was there to kiss the pain away for you, get well soon and feel better. You are in my thoughts and prayers, hoping that you feel back to your best soon. Sad to hear that you have fallen ill, hope you’re getting some much needed rest, and that I will see you get well soon. Time to relax, focus on your self for a change, and get well soon. Sending you my love during this difficult healing time, hope to see you get well soon. Missing you terribly while you are on the mend, hoping you get well soon. 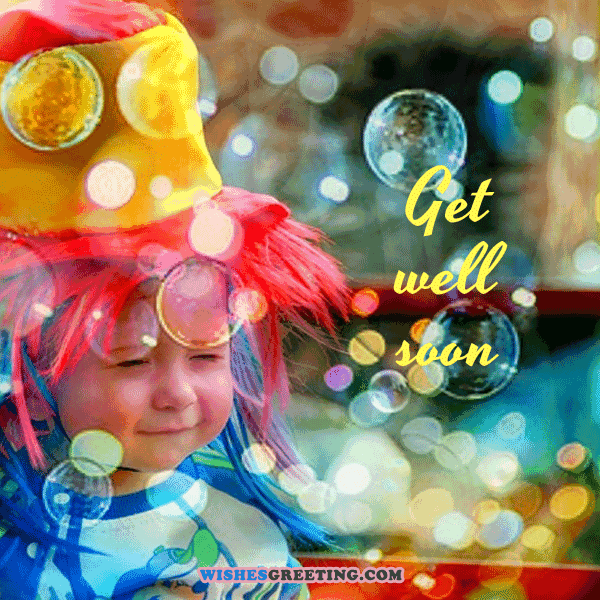 Sending kisses and hugs, thoughts of healing and comfort, hoping to see you get well soon. While you take this time to recover from your injury I am praying for you and hoping to see you get well soon. If only I could cure your illness with all of the love that I have inside for you, hoping you feel better and get well soon. Time for me to take care of you as well as you take care of me, get well soon baby. What hurts you also hurts me, hoping you get better soon my love. Feel better and get well soon baby, I’m here for anything that you need. Sending my warm thoughts to you during this time of healing, hope you get well soon love. I am here for you whenever you might need me during this time of healing baby, get well soon. Sending you lots of love. Saddened to find out that you aren’t feeling well at the moment, I hope you’re taking this time to rest and that you see a quick recovery, get well soon.